I’m generally in favor of Scotch producers embracing current trends in craft whisky: higher proof bottlings, avoiding chill-filtering, and ditching the spirit caramel for coloring. It’s also generally a good thing when a producer revitalizes a languishing expression with a new recipe or an updated maturation technique. 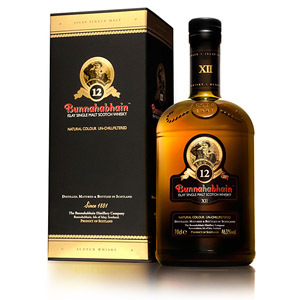 That said, I’m not crazy about Bunnahabhain’s updated 12 year-old expression. I wrote here about the older, 40% bottling (green bottle), and while unobtrusive and unassuming, it had a certain charm. The new, muscular 46.3% ABV bottling is brash, bitter, and relies heavily on wood char for flavor. I’m disappointed, but kudos to Bunna for trying something new, and embracing the craft aspects of whiskymaking. The new bottling is in a redesigned brown bottle, and is a touch more expensive than the older one. Nose: Woah, what’s going on here? There’s some big wood in here, it smells musty and smoky, almost as if it were peated. Mushroomy and nutty, with a bourbony lacquer note. A little more acetone than I normally like. Angular and muscular, this is not delicate and subtle like the 40% Bunna. A dash of water doesn’t seem to have much effect on the nose. Palate: Nice thick mouthfeel, oily. Upfront the palate is dark and brooding – overcooked caramel, burned-out logs, and some slightly bitter char. Later, there are some sweet roasted nuts, pecans and chestnuts. A hearty dash of water brings some mellower fudge and spice cookie notes. Finish: Medium length. Oaky, but soft and thankfully not too bitter. The flavors all seem to be darkened by soot and charred wood, start to finish, just stopping short of acrid. The water sweetens the finish. Overall: I was expecting old-style Bunna, but better. Instead, this seems a little overcooked to me, like grandma’s pecan pie was in the oven a few hours too long. The barrel char is deep and overrepresented, the sweetness is minimal and overshadowed. For once I wish Bunna were peated, to provide a counterpoint in flavor. A pity. A hearty dash of water goes a long way toward repairing the damage. I recommend the water with this one for sure. 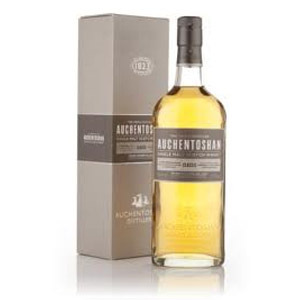 Note: I gave this one a “Mediocre” rating, although it’s really not a bad whisky. This just reflects my disappointment in the rough, unapproachable new style. I just couldn’t bring myself to “Recommend” it, but don’t let me stop you from trying it. Distinctive as the only non-peated Islay malt (although Bruichladdich also has an unpeated bottling), Bunna (pronounced boon-a-havn) is located on the eastern shore of Islay, north of Caol Ila, across the Sound of Islay from the Isle of Jura. The distillery’s water is piped from a spring, which rises from dolomite rock in the mountains, and becomes hard with dissolved calcium- and magnesium-carbonate. Because the water never flows over the island’s pervasive peat bogs, the resulting whisky is mineral, light, delicate and totally unpeated, despite the island’s penchant for heavily peated whiskies. It is said that the whisky does, however, pick up some of the briny, maritime flavors, perhaps from the sea air in coastal warehouses. Acquired: (Bottle) N.H. State Liquor Store, Hampton, NH. Not one I’ll buy again! Not a bad whisky, but not one that appeals to me. I prefer any other Islay to this one. This was actually my first dive into Single Malt on the recommendation of my local spirit shop owner. The charred wood flavor is what punched me first. I assumed (incorrectly) that this is what it was like to drink Scotch neat. I much prefer a lighter GL12 to the heaviness of this one. Try the Toiteach. It’s the peated version of Bunnahabhain. I got the three pack of Bunnahabhainn miniatures (which fortunately didn’t give me the same problems the Glenmorangie ones did) and the two so-so ones – the 12 year old and the Darach Ur really lowered my expectations for the Toiteach and it blew them out of the water. Toiteach’s peat tastes entirely different from anything I’ve ever tasted in any other peated whisky in the best kind of way. Like any whisky, if you like it you like it, if you don’t – you don’t. Personally I like it, simply put it’s on the strong sherried side. I’m not a big sherry fan, but this one I’m ok with because it has more going on than just sherry in that you get some of that dirty, old gasoline engine’ness to it – think 1953 chevy. 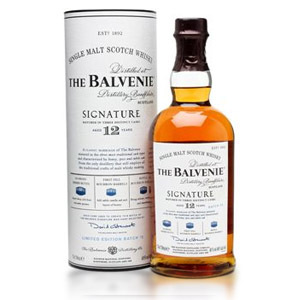 For a 12 year, it’s on the thick, dense flavor side on on the heavey mouth feel. It’s an Islay but it isn’t what you’d expect of an Islay are far as peatyness. Yea you could say it’s like a Highland, but there is a bit of the Island kind of taste in it. Strange it seems there’s two versions of Bunna you read about on the web… the charred/burnt rubber version and the version I’ve bought twice – must be qual control issues or battling vat-masters at the distillery! 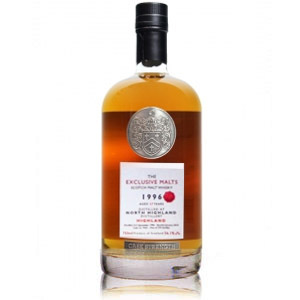 What I’ve had is a complex sherried whisky with a nose of sweet malt, sherry and some earth tones, hints of strawberries and a touch of smoke, just a touch. Tasted of malt, toffee, a touch of cotton candy, but not overly sweet. balanced with oak. The finish is long with the sweetness of the malt fading into the oak note and not a char in sight. I know smoke, I’ve tried Talisker and have some Ardmore & Highland park. Hope I get lucky again next time! This ‘newer’ version of the Bunnahabhain 12 yr is a winner IMHO. Imagine putting Christmas Pudding in a blender and you have it (not from the UK? – well, buy one at World Market to see what I mean) – . Curious aftertaste of raisins or sultanas at the death. 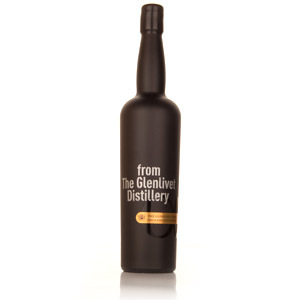 If you like drinking whisky with a fork then this one is for you. Personally, I loved it. Wow. My first venture into a pure spirit (no chill filtering and no e150) that has matured in Sherry casks. My first dram was a disappointment so I had an idea it would get better each try (I felt I had made a mistake when I tasted the Laphroaig 10 and now it is my favorite Scotch!). I was right. I’m really enjoying the Bunnahabain 12 now. There’s a lot of darkness here, richness, a touch of smoke, just a touch, and a nice dry sweetness that I like. Thus far I’m more into Scotches like Laphroaig but I’m still finding my way around Scotland the great. 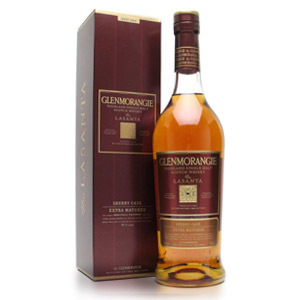 All in all I’m pleased with this whisky, it was a good buy. I will be ordering this one this very week. Looking forward to it indeed.